Calling all Disney fans! Right now you can call your kids favorite Disney characters and get a special bedtime message!!! The kids will love this FREE Disney bedtime message! 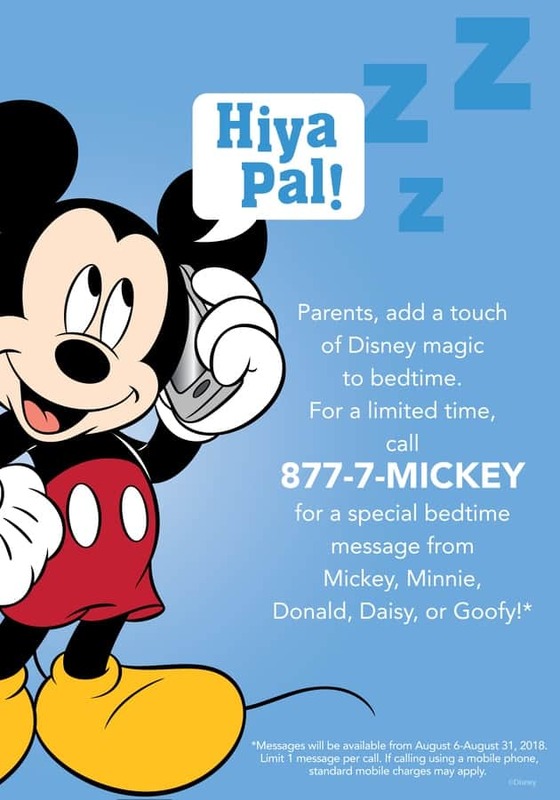 To get your free bedtime message just call 1-877-7-MICKEY! There are five special messages from Mickey Mouse, Minnie Mouse, Donald Duck, Daisy Duck and Goofy!!! That is like basically having Mickey’s phone number… really what could be cooler then that!?! The kids are going to love these bedtime messages! But hurry because the bedtime fun is only going on until August 31!